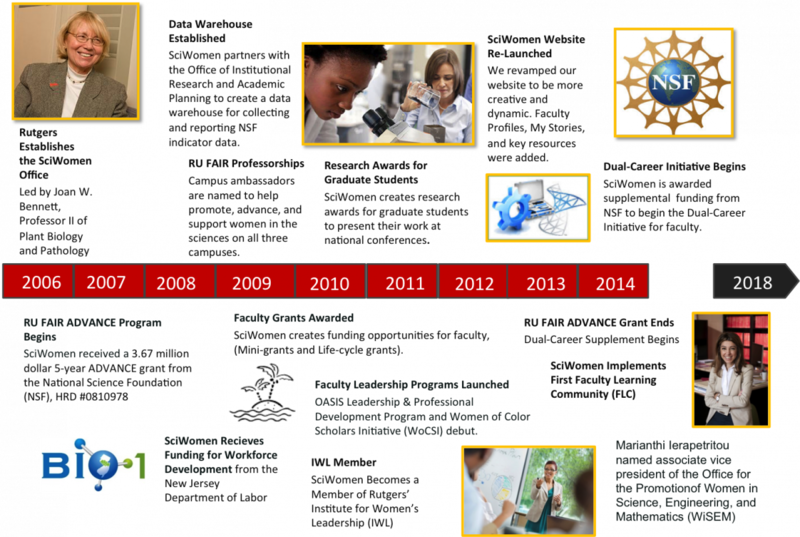 In 2008, the SciWomen Office received an NSF ADVANCE grant (award HRD # 0810978) that lasted five years (ending in September 2013). The grant allowed us to develop systemic approaches to increase the representation and advancement of women in academic science, social science, engineering, and mathematics (STEM) careers. Learn more about what we accomplished through the RU FAIR ADVANCE grant and explore our current initiatives that advance gender and racial equity in the sciences.